One-on-one training with an instructor who will design a program based specifically to fit your needs, goals and objectives. Your total body transformation can begin today! All sessions are one hour, with a minimum of six sessions being purchased at a time. All sessions must be paid at the YMCA front desk Welcome Center prior to the first training session. Denise Snyder has been employed with the YMCA for 7 plus years. She started her fitness journey here by coming to the Y in the mornings, working out to reap both the physical and mental benefits of exercise. Denise’s passion for fitness has made her want to help others accomplish their goals, and by working at the Y she has been able to even get her family and friends together at the Y to work out! Denise is great at helping you find what works best for you and your abilities to push you to your best. Denise is an ACE certified personal trainer. Laz Perez moved to Scottsbluff many years ago from Mexico. He currently works at the YMCA as a Personal Trainer, Circuit Strength Trainer and is also teaching a Kick Box Conditioning class. Laz is also very active in his personal life and workouts, practicing a mix of martial arts. With a strong passion to help people reach their goals, Laz’s approach is tough but encouraging; his past client’s weight loss experiences with him speak for themselves! Laz helped one of his clients lose 30 pounds in a month and a half in anticipation of joining the Marines! Laz is a great addition to our team and will make you want to be better in your fitness journey. Conrad Bostron moved to Gering in 2017 after being selected as the new CEO of our YMCA. He has worked hard at improving operations at the Y challenging us to strive for new heights much like his love for climbing high, often times difficult, mountains with his friend and sister Anna. Conrad and his wife Donna have two grown children. Their son Allen is a career Marine which fits well into the Bostron’s strong support of our Military. Their daughter Bethany is a bank Compliance Officer with Metabank in Sioux Falls. Conrad’s own personal Y story includes his own journey back into a health and wellness life-style. He is a NETA certified Personal Trainer and Indoor Cycling Specialty Instructor. As a Trainer he helps his clients achieve their long-term goals for endurance activities, strength development and an improved work/life balance. Stephanie’s fitness journey started right here at the Scottsbluff Family YMCA. Stephanie joined the YMCA so she could take her 3 children to daycare while she went on runs. That is when a former member introduced her to fitness classes and where she inspired to become a fitness instructor. 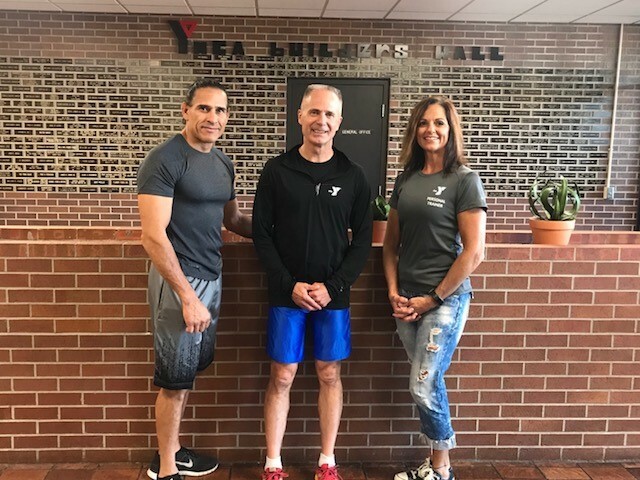 Stephanie is now a fitness instructor at the YMCA, works at the Scottsbluff YMCA at Regional West where she is an asset to our YMCA and has become a certified Personal Trainer through the American Council on Exercise (ACE). Her children are of course first in her life and what better place to bring them up at and be able to do what she loves. She is happily married to Luke and they have 3 children. Stephanie would love to help you with your health journey no matter where you are in the journey. Print off your forms here to fill out and drop off at the YMCA! One of these 4 will give you a call.